If it’s ink on paper we can handle it. If you don’t see the product or service listed on our website, just give us a call at (914) 993-9007. No job is too big or too small. When you meet a lead or prospect, they usually don’t take detailed notes on everything you want them to know. Give them something to refer to. Alloy’s marketing and printing experts can create beautiful and compelling brochures designed to help you close the sale. With Alloy, you have hundreds of options of paper stocks, materials, sizes, and coatings to make your brochure pop. Choose from z-folds, bi-folds, tri-folds, gatefolds and more. Speak to an expert at Alloy today and tell us about the brochure of your dreams. Never underestimate the power of a business card! It is the spark that ignites your business relationships. Business cards have the ability to induce excitement, respect, or boredom. Don’t leave such a powerful marketing tool to amateurs. At Alloy Printing, our goal is to help you stand out and create more than just a card with your contact information on it. Applying our fusion of marketing and printing to business cards means that we can suggest unique ideas, design and content for your business cards to differentiate your business and define your brand. As with all of our products and services, our abilities are only limited by your imagination. You can choose custom shapes, sizes and materials with special coatings and fonts. We also offer complete corporate identity packages to further instill your brand beyond just business cards. Even in this digital age, direct mail continues to demonstrate its proven ability to cost-effectively reach an audience and persuade them to take action. Postcards are the simplest and most affordable way to launch your own direct mail campaign. Whether you are trying to capture new leads or bring existing customers back, a postcard campaign is an easy and effective way to get the word out. The marketing and printing experts at Alloy can help you create a focused and results-driven postcard campaign. Law firms, large and small, depend on meticulous, high-quality and timely litigation copying and scanning. The professionals at Alloy have been serving law firms for over 30 years, offering document production, Bates numbering, converting hard copies into searchable PDF files and managing all associated mailings. Alloy Printing follows industry best practices and takes extra measures to be sure that your information is secure. Call us today at (914)-993-9007 to find out how you can save time, money and depend on Alloy as your trusted legal printer. Flyers are excellent promotional tools, perfect for getting the word out about an upcoming event, new product or service. If distributed in the right place at the right time, flyers can be a major driver of sales. Alloy Printing can make anything from a simple one-sided, four-color flyer, to intricate custom shapes, materials, folds and coatings. Ask the experts at Alloy about how you can make the most effective flyer for your business. Make an impact with a BIG poster. 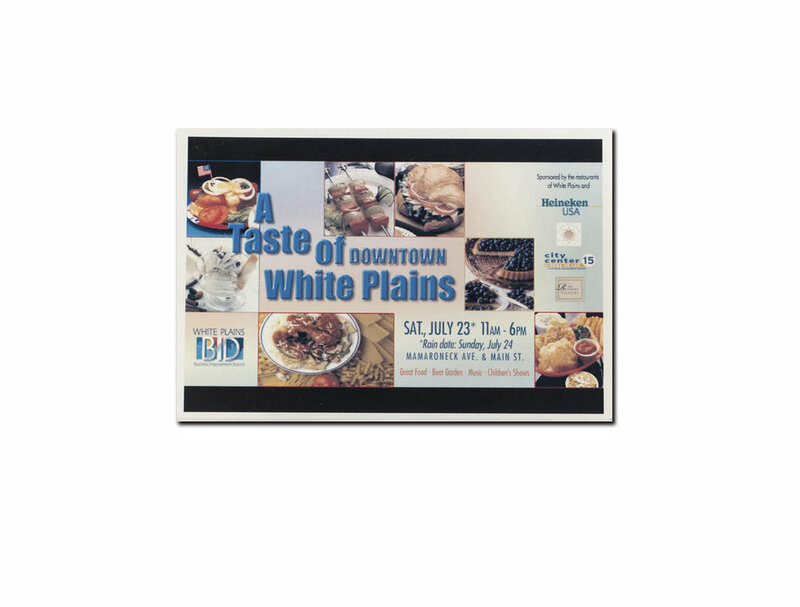 Our large-format vinyl posters are perfect for tradeshows, events, storefronts, point of purchase displays and more. Don’t allow yourself to be overlooked by potential customers. The printing and marketing experts at Alloy can help you choose a size, shape and design that will represent your brand in an eye-catching and unique way. Our vinyl posters are super heavy duty, weather resistant and ready for outdoor use. Newsletters are a great way to improve your customer retention, build your community and maintain top-of-mind awareness with your customers. Keep them updated with new products, upcoming events and useful information that engages them and keeps them coming back for more. Newsletters are a powerful marketing tool that allows you to be a resource to your customers and establish thought leadership. As with all Alloy products, newsletters give you limitless options in paper stocks, shapes, sizes, materials and coatings. Speak to an Alloy expert to find out how you can make an effective newsletter. Direct Mail can be extremely rewarding. It has been a proven time-tested, cost-effective way to reach your potential customers, or bring back old ones. Alloy has been specializing in direct mail for over 30 years, and knows how to do it right. Where most printers will simply ask for your design and send it out, we can act as your marketing consultants, helping you refine your message, choose your audience, and create your design. Don’t have a mailing list? Want to target single parent lawyers between the ages of 40 and 50 within a 10 mile radius of your business? No problem. Alloy Printing has access to highly targeted NCOA Certified lists, so you know your message is getting delivered to the right audience. We can also help you refine your message to include enticing offers and design your piece for the largest response. Choose from limitless options of paper stocks, shapes, and folds. Get started today and grow your business now. From promotional pamphlets and catalogs to event programs, booklets and journals are a great way to effectively get a large amount of information to your prospects. Alloy Printing’s superior paper stocks and attention to detail will make your booklet or journal stand out. We offer limitless options and customizability with unique shapes, materials, paper stocks and designs. The experts at Alloy can help you shine with an unforgettable booklet. Your business documents are important to you and your clients. Branded stationary endows your documents with greater perceived value, finesse and professionalism. Alloy’s expert graphic designers can work with you to create a letterhead and format that suits your brand. We can also create unique sizes and shapes and work with a gigantic variety of materials and paper stocks. Having your own custom stationary becomes even more effective when coupled with corresponding business cards, envelopes and more. Learn about our corporate identity packages. Show off your products in a beautiful, well-designed and printed catalog. Highlight seasonal inventory and specials and maintain top-of-mind awareness with your customers by producing quarterly editions. In addition to standard sizes, Alloy Printing specializes in creating unique catalogs with premium paper stocks, special coatings and high quality binding. We offer everything from a simple 4 page catalog, to a 60 page stitched or coil-bound sales presentation. Our complete binding and finishing services will meet all your corporate needs and more, including comb, coil, wire and velo bindings as well as folding and scoring. We have the tools to help you.